Understanding the changed requisites and demands of our clientele in an effective manner, we have been engrossed in presenting Carbide Rotary Burrs. - Wrapped in aluminum foil, each package five pieces. - Easy, convenient and health in usage. - The burs needle content enough sand, even coverage, not easy to fall the diamond sand. Tungsten Carbide Rotary Burr are applicable on Tough & Hardened Steels. Example - Stainless Steels, Hard Bronze & other hardened metals etc. Mostly our Rotary Burrs are used by Die Casting Units, Forging workshops, Foundries etc. The highly experienced team of our company presents BURS to our clients. It is used by the dentists to prepare hard tooth tissue, removing old fillings, polishing and filling. There are more than 500 types of this product available. Its stem is made using stainless steel that gives perfect grip in turbine. 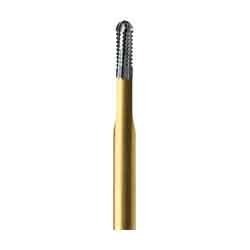 The product we offer includes Round Carbide Bur and Round Diamond Bur. 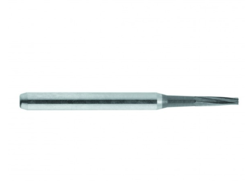 We supply Carbide Burs which are used to conduct operations related to the check the tooth region. These are available in stock in different sizes and shapes based on the requirement of the client. This bur is widely used by dentists for filling, tooth tissue preparation, filling adjustment and old filling removal. These are available at market prices. Made of the finest grade tungsten carbide, accurately fluted and honed to sharp cutting edges. cutting burr in stainless stell, diamond and carbide. We majorly Deal with End Customers Only . Backed by a group of creative and accomplished professionals, we are highly affianced in offering an outstanding quality of Tungsten Carbide Rotary Burrs. While mounting the tree of triumph, it has wound up being brilliantly more imperative for us to present Solid Carbide Burrs. So as to match with the ever-increasing desires of our privileged patrons, we are readily involved in bringing forth for our honored patrons Ela Carbide Bur.